Age Group: They have to be old. Like most people at Concours events. Easily over 60. And it's not as if they care about actually driving it all the time. Occupation: Fashion designer, other professions that enable spending $30-40 million on a car while somehow being able to maintain anonymity. Residence: I'm sure they have many. But I know for sure one is based primarily in the New York area while the other may have ties to Southern California. Leased or Bought: Bought. With cold hard cash. Like Ettore Bugatti would ever let a customer lease a car. Intended Use for Car: Anything but actually driving it. It usually ends up being exhibited like a work of art. And it had better be Best of Show at any Concours d'Elegance. Actual Use for Car: As above. Attitude Towards Maintenance: Obsessive. The car has to win any Concours d'Elegance it's entered in. Or else some poor restorer is out of a job. Car They Wish They Had: I'm not going to bother with this. 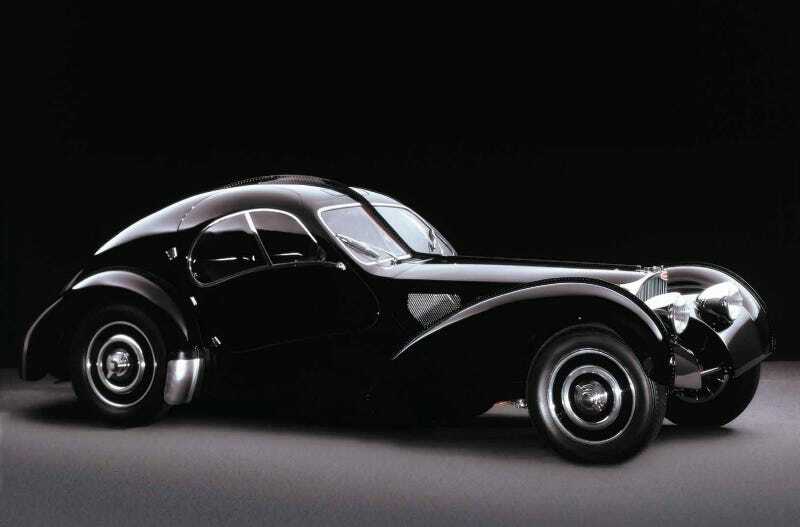 Car They'll Recommend to Others: "How about this pre-war [Hispano-Suiza/Voisin/Delage] in the Bonhams catalog?" They've also made sure the recommendation is not a Concours Best of Show contender, so beware. Car They'll Want at the Rental Counter: "Rental counter? What is that? I bring my cars with me, thank you very much." Driver Profiles is a recurring feature on Oppo. Anyone is free to create their own Driver Profiles from this form, since I'm not qualified to write profiles on some car owners, like the people who run Pontiac Fieros and Alfa Romeo Breras. Feel free to make some suggestions for other bolded criteria that could be added.